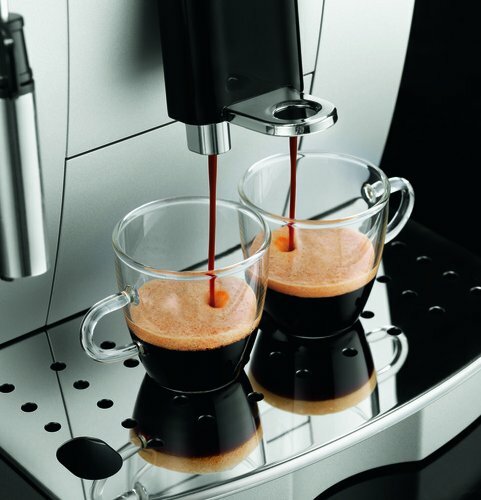 The ECAM22.110.B will create you the perfect espresso at the touch of a button as well as providing you the opportunity to make cafe style milk based drinks such as cappuccinos and lattes. 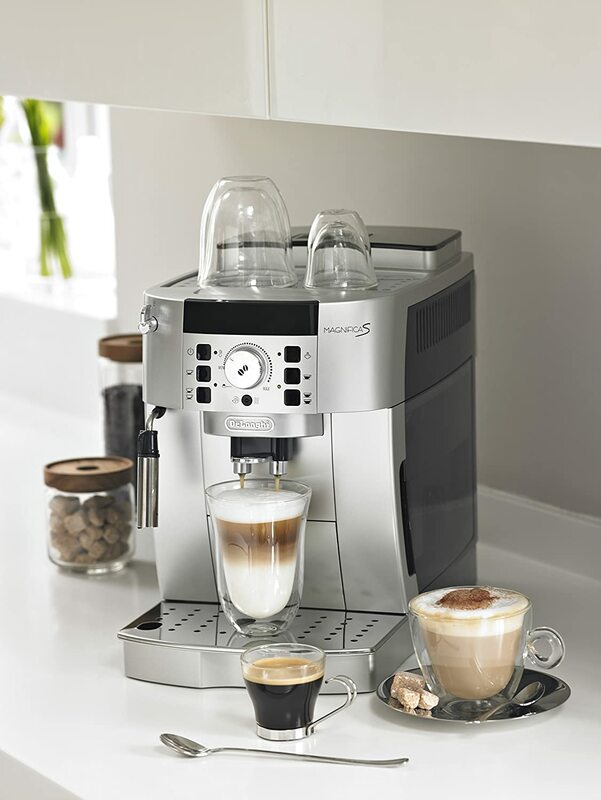 Beautifully crafted, this fantastic piece of engineering will allow you to start the day with the perfect coffee drink to suit you and will look stunning on your kitchen surface. This machine has icon displays on the front of the machine which make it very easy to use and you can make two cups of coffee from one brewing unit. 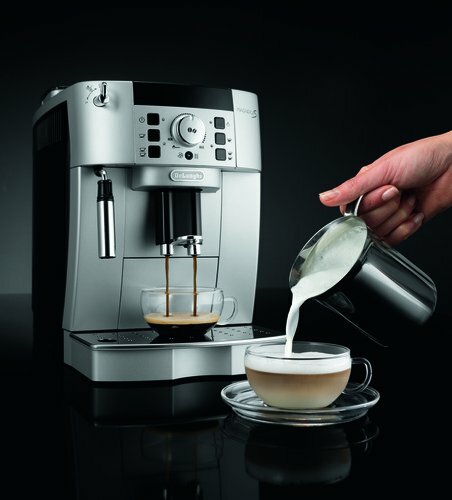 If you appreciate your coffee and want to bring the cafe to your home, why not try the Delonghi ECAM22.110.B today.